Superdry women’s Anneka check shirt. 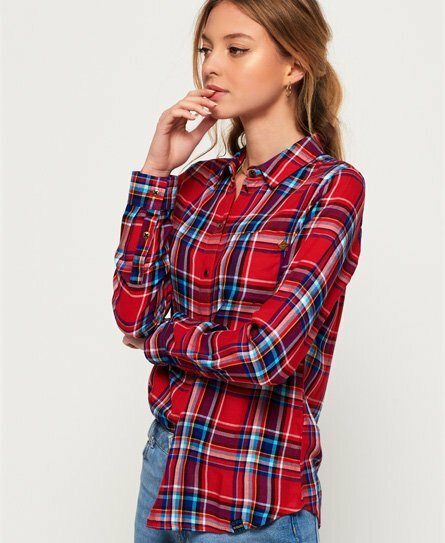 Casual dressing has never been easier with a checked shirt, a great piece to pair with jeans and boots or tucked into a denim skirt with trainers. This shirt features a button down fastening, a single chest pocket and button cuffs. This lightweight shirt has been finished with a Superdry badge on the pocket and a Superdry tab on the hem.